Christmas is approaching, and the decorations to adorn our home are never enough! 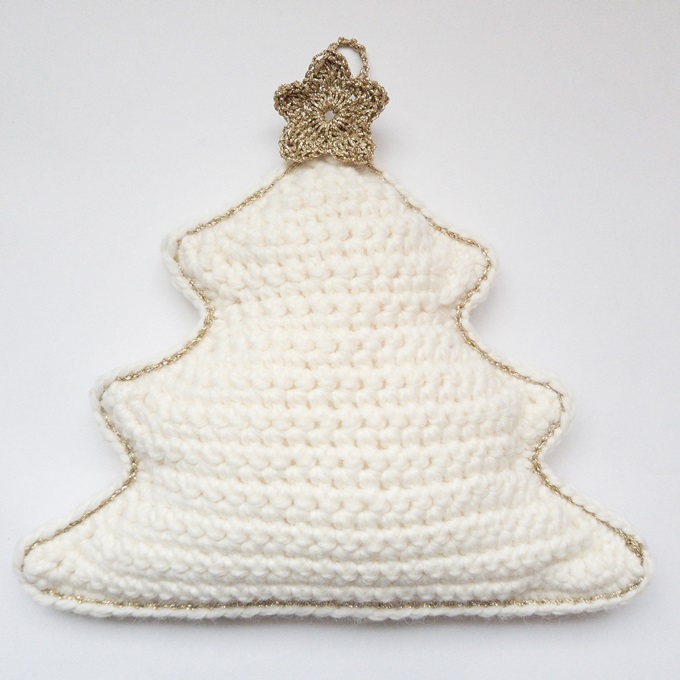 For you a Free Pattern, to create a Christmas crochet decoration: a cute stuffed tree, designed by Lily of @Knothing_Usual (do you remember? Lily had also written a pattern for us to make a crochet bag! – you can find it in this post – and a short tutorial to make a “grandma’s tile” – look here). What do you need to make this Christmas decoration? 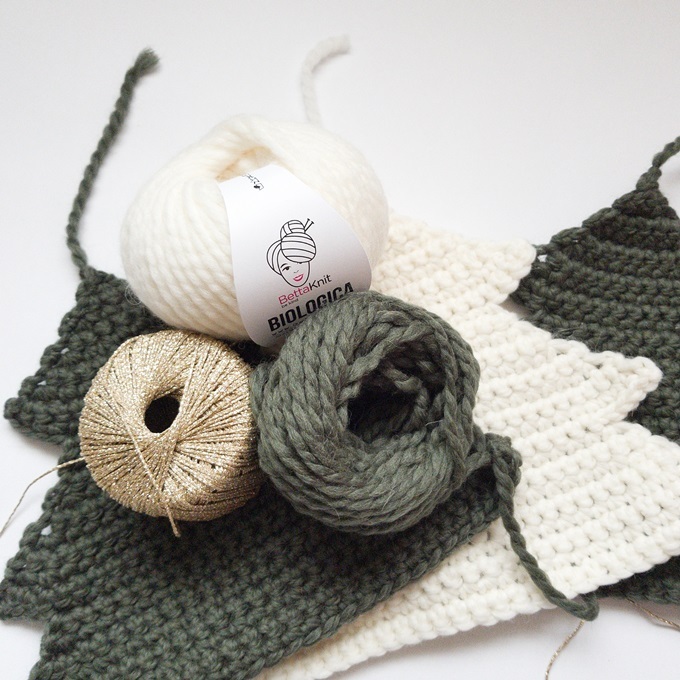 Biologica yarn (one of the most loved yarns by our customers, made up of 70% organic wool and 30% alpaca, of which you can find more information here) in two colors: White and Green Musk. But the choice of colors is all yours, you can choose between the 23 colors available to date! Starlight Yarn, a yarn in lamé gold, but why not try also with the silver color of Moonlight Yarn? 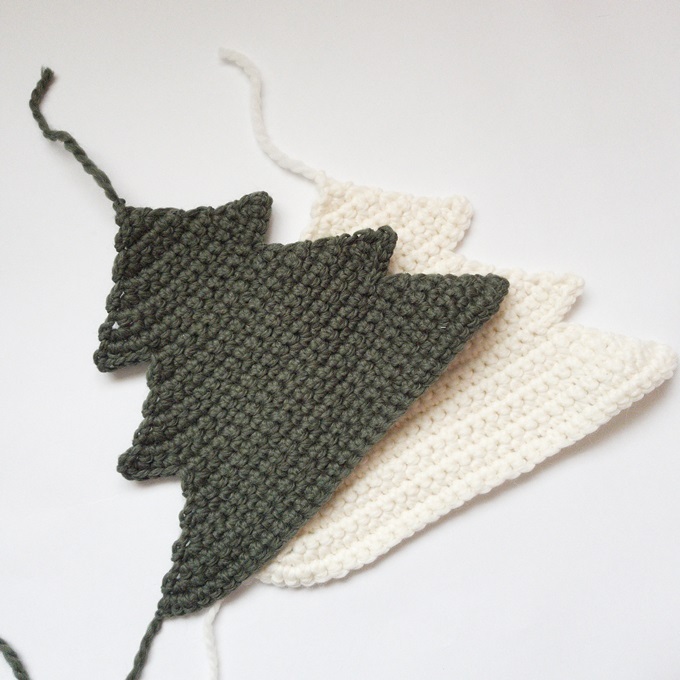 The pattern level is easy, so so it’s really suitable for everyone, you only need to know the basic stitches! 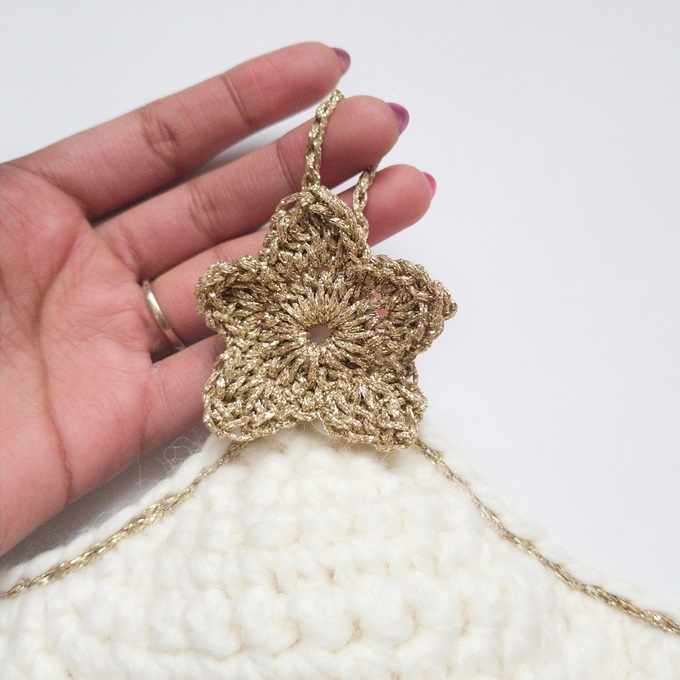 Slip Stitch – go to this video to refresh your memory! Now that you have procured the materials, you just have to download here the Free Pattern: you will find all the steps, clearly indicated. Once you have finished with the first part, and then you have made the two sides of the tree, you have to assembly them and to stuff your Christmas decoration with toy stuffing. 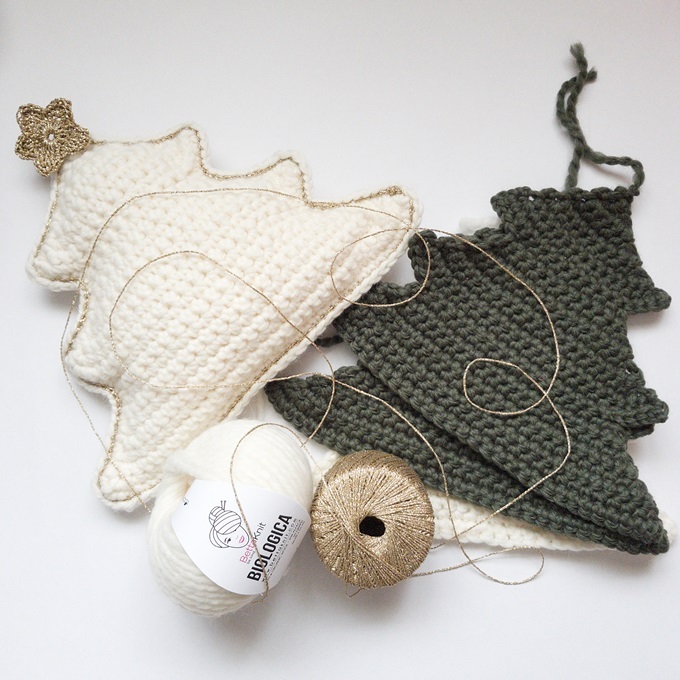 With the lamé yarn, for further finishing, make a star to put on the top of the tree, and a chain for hanging your Christmas decoration in your home’s favorite corners! 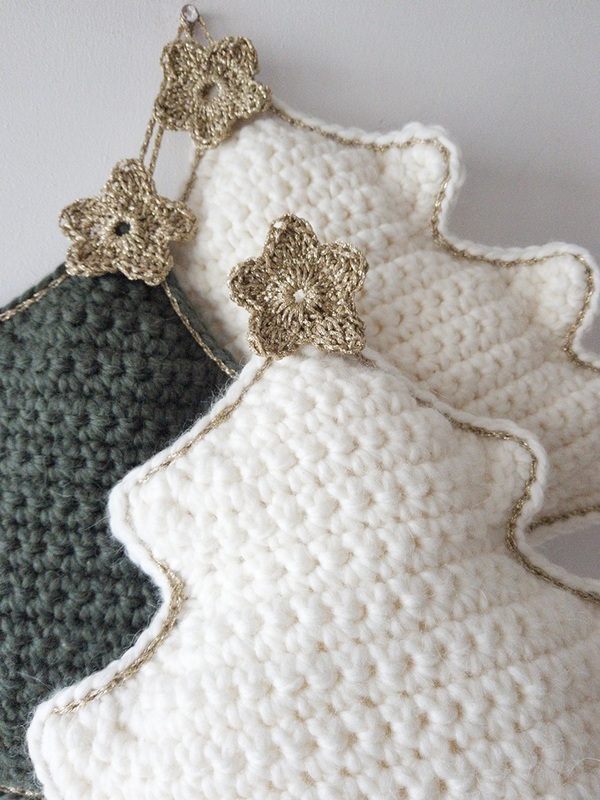 Here is your Christmas crochet decoration! If you would like more information on this yarn, on this project, or on any of our other products, do not hesitate to contact us: leaving a comment below or through our store chat! And if you like this scheme, take a picture and share it on Instagram with the hashtag #bettaknit or #ilovebettaknit!